If you don’t have a Water Garden & keep Koi, you don’t understand how attached you get to your Pond & Fish! You just don’t understand how going out and interacting with your fish and hearing that waterfall literally takes you to another place… Almost instantly, you calm down… Your blood pressure goes down… Your breathing smooths out… It’s like… Magic! I Love My Pond & I LOVE my Koi! 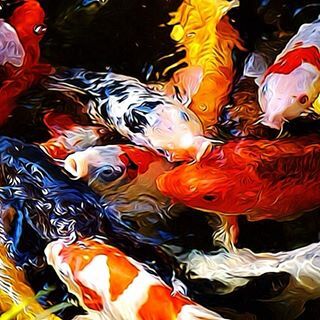 Love your Koi & keep your Koi happy and healthy as we transition into Spring by feeding them quality Cool Temperature Koi Food | Carters Nursery Pond & Patio | Jackson, Tennessee | I ❤️ Koi! As you know Koi are huge in the culture of Japan. I love learning more about Japan & about Koi. I’ve been blogging about Koi every Wednesday for the last year & have learned a lot of things in the process. I have also tried to pass along some good information to you through my BLOG. One thing I have had fun learning more about is their language & about Kanji – what is kanji you ask? 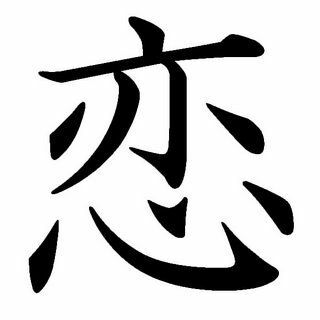 noun – a system of Japanese writing using Chinese characters. Koi wa moumoku / Love is Blind! Isn’t that cool?! 😎 Going to the Koi pond is truly going out for a dose of LOVE! Bam! 💥 Write this down! – “KOI = LOVE”!